Here's another reason to love Trader Joe's! 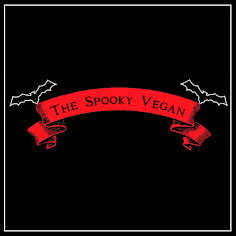 So far this year they have released a lot of new vegan products, and I've been slowly trying to sample them all. One of these is their Chickenless Mandarin Orange Morsels. In my pre-vegan days I used to love TJ's mandarin chicken, so I was sooooo excited to try their vegan version. I found the chickenless morsels in their freezer section priced at $2.99 per 9.25 oz. bag. Wow! What a great deal! This seems like an amazing price, especially considering the price of some other faux meat vegan products. The morsels (they look like McDonald's chicken nuggets) can be prepared either in the oven or pan-fried, and I've tried both with equally delicious results. Both preparation methods yield crispy, mouthwatering morsels! The addition of the mandarin orange sauce complements the crispiness with a perfect mix of tangy and sweet. Surprisingly, there is enough sauce to coat ever single morsel (one of my pet peeves is when products don't include enough sauce). Thanks, Trader Joe's! I like these chickenless mandarin orange bites served over brown rice with some sauted veggies, but I imagine there are lots of different ways to enjoy these. 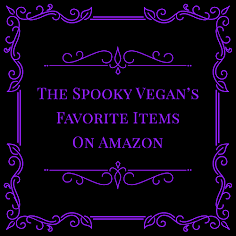 They would even be delectable on their own, using the sauce as a dipping sauce and turning them into vegan chickenless nuggets! 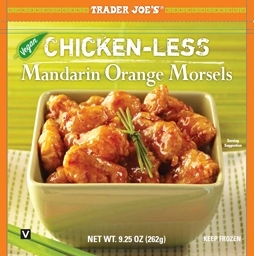 It has been a while since I discovered a mock meat product that I really loved, but these Trader Joe's Chickenless Mandarin Orange Morsels are really amazing! Even the carnivorous Mister Spooky loved these, and said they very closely resemble chicken in texture and taste. Trader Joe's Chickenless Mandarin Orange Morsels are easy to make, are low in cost and, most importantly, are one of the best-tasting faux meat products I've enjoyed! I highly recommend you pick some up at your friendly neighborhood Trader Joe's. i doubt these sell anywhere around BUT now i have an idea of what to cook tomorrow :-D sounds very delicious indeed. Next time I'm near a Trader Joe's I'll get these for my hubby (I'm gluten free vegan and he's regular vegan and I'm guessing these are wheat based). I wish I was not allergic to these (due to quinoa)!